Large doses of biotin appear to reduce the symptoms of MS but may affect tests for other conditions. Many people with MS use diet to help manage their symptoms, and vitamins are an essential component of this. One important group of vitamins are the B vitamins, which help the body turn food into energy, support the nervous system, and keep the skin, hair, eyes, and liver healthy. They are very important during pregnancy. Biotin, sometimes referred to as Vitamin B7 or Vitamin H, is one of the B complex vitamins and is essential for human health. Biotin is found in brewer's yeast, nuts, egg yolks, Swiss chard, liver, and many other foods. The United States Food and Nutrition Board has not set a recommended daily allowance (RDA) for biotin, but the board has established an adequate intake (AI) level of 30 micrograms per day for adults. How might biotin work and how is it used? Biotin is very useful in cases of progressive MS because it supports nerve cell metabolism. MS develops when myelin, a substance that protects the nerve cells, is damaged. Biotin activates key enzymes and helps the body to produce more of this the nerve-protecting substance. When levels of myelin are at healthy levels in the body, the nerve cells are able to communicate with each other more easily. This communication between the nerve cells can reduce the level of disability in people with MS.
Several studies have found that high doses of biotin, up to 10 times the typical daily intake, can reduce symptoms in people with progressive MS. In addition, people who took these high doses of biotin did not develop any significant adverse reactions. Several studies on the use of biotin as a treatment for people with MS have shown positive results. One study found that people with MS who had taken high doses of biotin, reported reduced pain and improved energy levels. A French study showed that people with MS who had been treated with biotin found that their vision had improved. Scientists in Canada also documented an improvement in vision as well as a reduction in partial paralysis. In another study, 91 percent of participants showed clinical improvement. It is important to note that these are preliminary studies and that not every person who took part in the studies saw the same degree of improvement. However, several studies do show that of those people who have been treated with high levels of biotin, some have seen a slow-down in the progress of the disease and an improved quality of life. 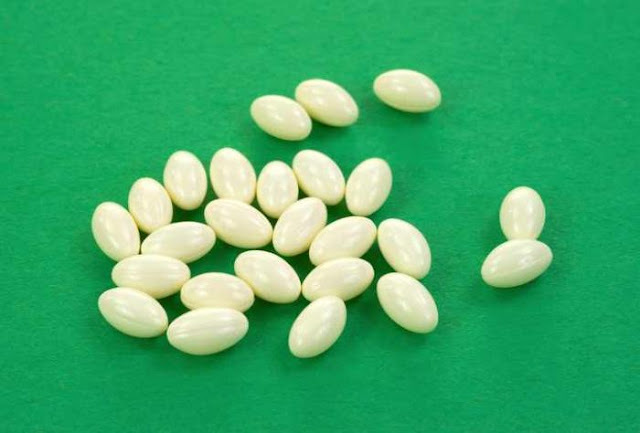 In standard doses, biotin is associated with promoting healthy skin, hair, and nails. When taken in large doses, biotin appears to reduce symptoms of MS without causing serious side effects. However, biotin can interact with other elements, and this may skew the results of important medical tests. This has led to unreliable readings in some individuals who are taking biotin supplements. However, in order to ensure accurate readings, a person being treated with biotin should stop taking it 3 days before having a blood test. MS is a progressive disease, which means it gets worse over time. It attacks myelin, a substance that wraps around nerve cells to protect them and facilitates communication between them. When MS attacks myelin, it damages this layer and the nerves underneath. Scar tissue develops, which slows or stops the nerves transmitting signals to each other. This interferes with communication between the brain and rest of the body, resulting in the nervous system problems that are characteristic of MS.
Risk factors may include age, as the disease tends to appear between the ages of 20 to 40 years, family history, tobacco use, and the presence of another autoimmune disease. Women are around twice as likely to have MS as men, and it is more common among white people and those living in cold climates.